Established by Dorothy C Hurrell (Langlois) during the German occupation of Guernsey, the Academy is the longest running dance school on the island still open today. After being passed down to various teachers, it became The Dance Academy, and later The Academy of Dance & Theatre Arts. The school has been based in several locations previously such as Le Foulon and The Carlton Hotel, before moving to the purpose-built studio we are in today back in 2008. Rhianna is a young and experienced dance teacher who qualified with the I.S.T.D. (Imperial Society of Teachers of Dancing) in 2011. She obtained a Degree from the University of Central Lancashire after following their “Professional Dancers and Teachers of Dance” Course and gained her teaching qualifications in I.S.T.D. 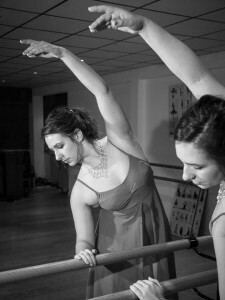 Ballet, Tap and Modern Theatre dance, whilst performing in three professional shows and dancing at several events around Preston. Rhianna has studied many different genres of dance, including both Cecchetti and Imperial ballet, tap, jazz, lyrical, modern, hip-hop, street jazz and contemporary; has qualifications with The Royal Academy (RAD); competed in competitions as a choreographer and as a dancer; and has plenty of experience performing on stage and in public such as for Children In Need in Blackpool (2010), for Preston North End football club (2011), and organised a dance performance at the UCLAN Student Union (2011). As principal of the school, Rhianna is responsible for teaching ISTD Ballet, Tap and Modern Theatre dance grades, Contemporary, Body conditioning, Introduction to Tap & Modern, Pre-school and Reception Ballet and combines youthful enthusiasm and a sense of fun with her eye for detail and high professional standards. With links to the West End, cruise ships, and performers dancing in countries such as Rhodes, India, and Benidorm, if your child wishes to pursue a career in either dance performance, or dance teaching, Miss King can certainly help you on your way! Miss Eleanor Lane began working for The Academy in October 2012, initially taking on the choreography and teaching of a number of solos for the Guernsey Festival of Dance, and following success at The Festival is now teaching part-time for The Academy. With a particular enthusiasm for classical dance, Eleanor’s teaching promotes technical excellence, but equipped with a history in theatrical and visual art she also encourages creativity, expression and most importantly passion in her students. 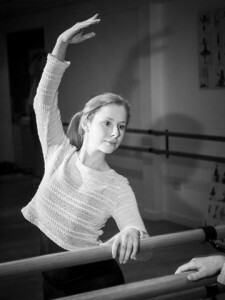 Miss Eleanor recently became a fully qualified ISTD Classical Greek teacher, and is in the process of gaining her ISTD Imperial Ballet qualification as well. All teachers are DBS checked and have undergone child protection training. We attend several courses a year to add to our continuous professional development (CPD) as teachers, to ensure that your child receives the most up to date and current training.